This is based on another of my Tinplate Dad’s railway projects. In the old days, every caboose had a cast-iron stove in it to keep the poor train guys warm. 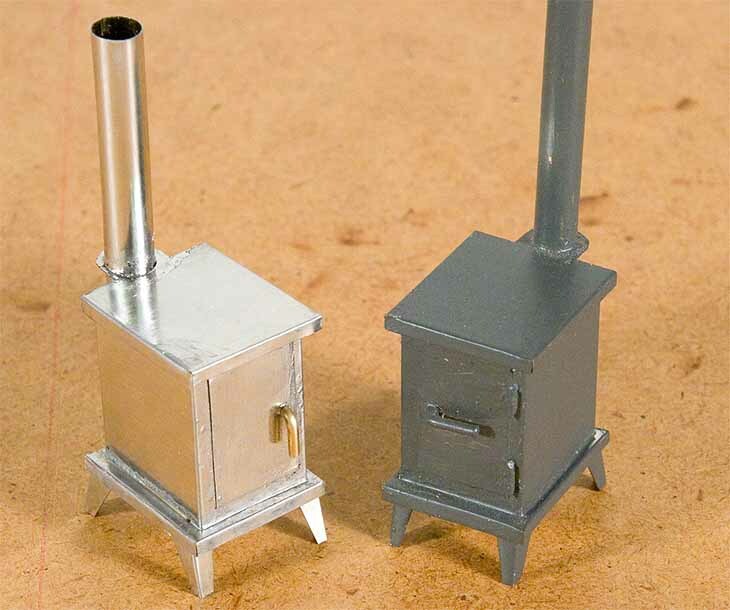 The stove shown here is not a model of any particular stove, but is typical of the sort of thing they used. The chimney would be tall enough to go all the way through the roof of the caboose and stick out the top. You can make yours any size you like. If you’re not the railway type (and even if you are), this makes a great addition to a cabin in the woods! The plans are presented in 1:20.3 scale, but can be resized to suit. Hardwood forms: .752" x .956" x 1-1/2", .904" x 1.110" x 1"